Natural hydraulic lime render to this period property, Somerset house, decorated with highly breathable and durable silicate masonry paint. 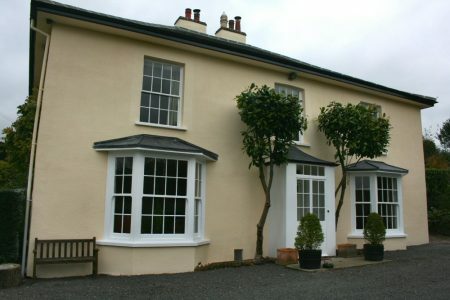 Somerset House was rendered by Sean Wheatley and painted by the owners with Earthborn Silicate Paint. Silicate paint is a breathable, long lasting paint that is an excellent alternative to limewash, particularly when applied on to NHL renders as in this case. Products supplied by Mike Wye & Associates.